A brief history of Indians Baseball Club from 1988. On the 29th. July 1982, the Southside Indians Baseball Club held their first "sign-on" day at Dittmer Park, Mt Gravatt, and baseball history was made in Queensland. On that day the Indians signed on players form under 9 Tee-ball through to Major League B grade and immediately became the largest junior club in the state. To prove that might is right they have consistently had junior teams taking out Premierships in all the junior division, from that first year, and for the past three years Southside Indians has won the Mike Young Trophy for the best junior club. In 1983 the home field for the Indians changed from Dittmer Park to South's United Soccer field at Wakerley Park Runcorn. In this year the Pee Wee league came into existence with Indians having a league of six teams from which a representative team was chosen. This team under the coaching skill of Mr Merv Foxover, went on to win the Zone and Brisbane finals but was debated by Ipswich in the State Championships. The Indians Tee-Ball league that year won their Zone, Brisbane, and State Title. The older Junior Teams, Under 16 and Under 17 both had their fare number of representatives in the State teams and also were consistent contender for the Brisbane Premierships Titles. In 1984 the Indians successfully negotiated with South's United and the City Council for the lease of 5 races of ground at the eastern end of Wakerley Park and the building of our own home ground began. From July 1984 to October Club members gave of time and efforts to convert what had been a former dump into a playing field. 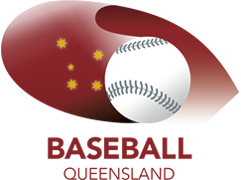 On October the 6th, the then Commissioner of Baseball in Queensland, Mr. Kel Macbeth, threw the first pitch to start an Under 15 fixture game, the first on our home ground. Work has continued on the grounds from that date and in time it is hoped that Indians field will be the best baseball facility in Brisbane, if not the state. In 1985 saw the introduction of our first A grade team. Coach Tom Nicholson steered this team on to yet another piece of Brisbane Baseball history when he took his players into the Grand Finals, the only time a rookie A grade team has reached this pinnacle. That year saw our first Claxton Shield player become a National hero, when Indians import, Ronnie Carter, became a cult figure in the Australian sports scene. That year the juniors also created history when Indian Apache and Cherokee Under 16 teams met in the Brisbane Premiership, the first time any club has provided two teams to get the Grand Finals. The same two teams repeated the performance the following year. The 1988 season starts off with a new senior coach at the helm, Ron Johnson, one of the original imports for the A grade. Ron has distinguished himself as a pitcher for the Indians in their inaugural year, and last season was selected in the Queensland Claxton Shield team as a relief pitcher and first baseman. He is a prodigious home run hitter and was one of the leading lights in the Rams batting line-up. With the original Indian's junior players now filtering up to the senior ranks, there is a wealth of potential, and it is the aim of the Club to not only make the Grand Finals this year but to take out the Brisbane Premiership..